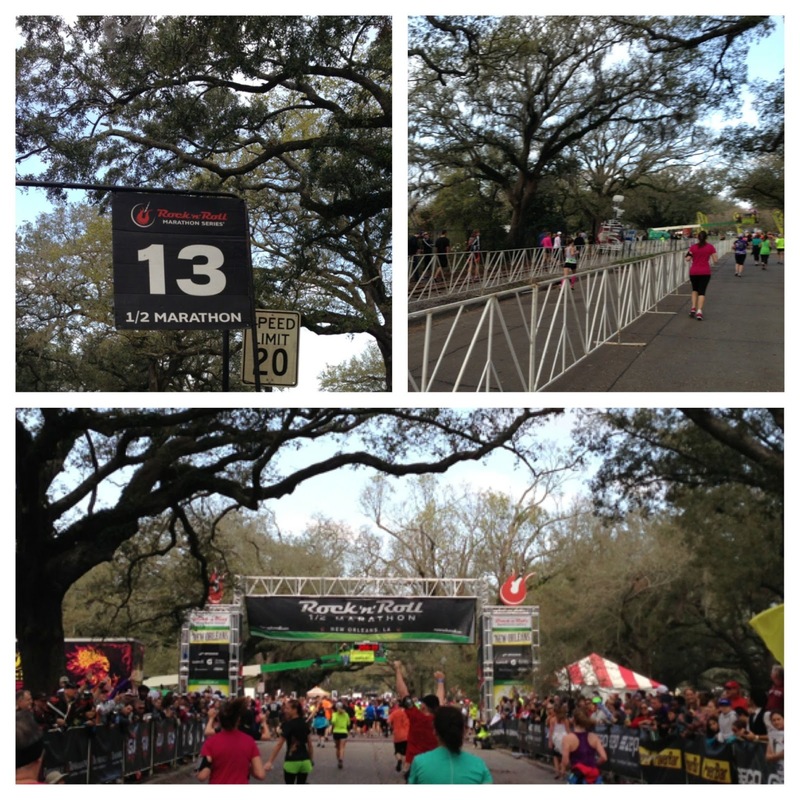 On February 24th 2013, I completed my fourth half marathon. My 4th!!!! My goal was to run one half marathon before the one year date - somewhere down the line, I officially got bit by the running bug. Now that my self gloating is aside (I think I deserved that 5 seconds! 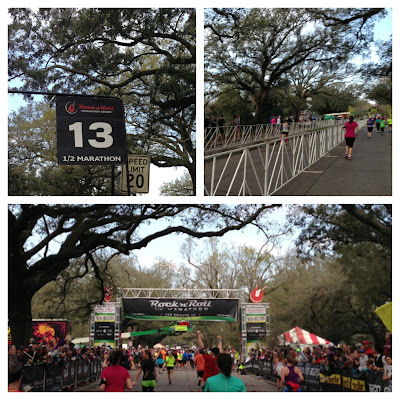 ), I want to recap my 4th half marathon, the Rock n Roll NOLA. Let's rewind to Wednesday the 20th when we arrived to NOLA. We were so excited to be in the city and I couldn't wait to get my hands on that glorious medal. Thursday came around, then Friday. Saturday happened and I really had doubts about arriving to the start line. We were in bed by 11pm on a Saturday night with Bourbon St. at my feet. Who is this person I have become? I am not sure yet myself but I am impressed with her. When I say mile 1-5 came and went, I am not joking. 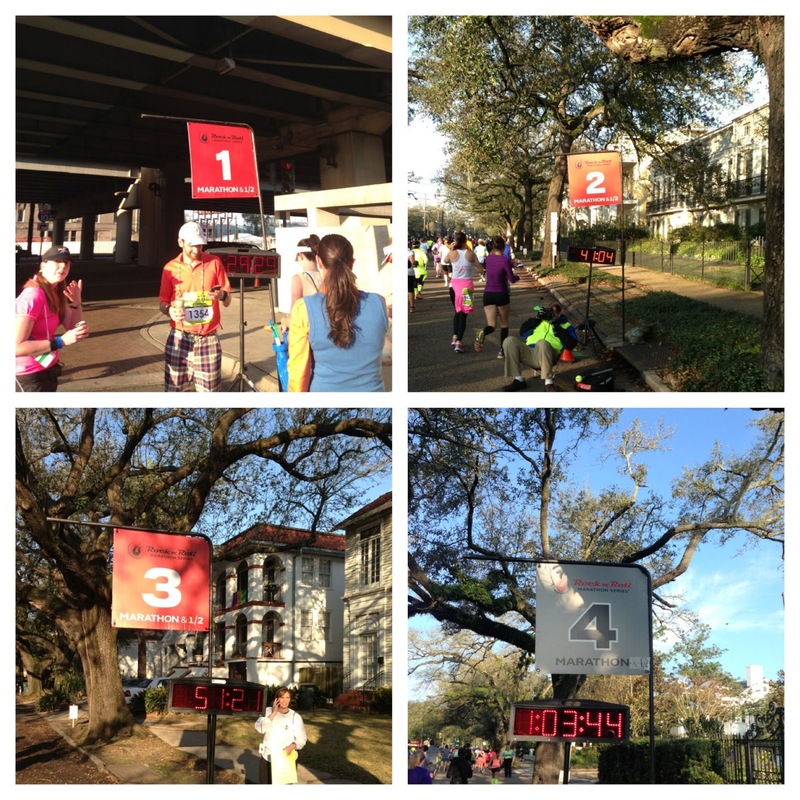 Mile 1, I remember other runners shot gunning beers. It was 7:30am!! Mile 2 was an awesome moment - Mo Farrah passed us (he would have been at mile 7 at that time). I can officially state that I raced with Mo! All of mile 2-8 were surrounded by the beautiful Garden District of New Orleans and I was in awe. Around mile 5, I glanced up to Gabe and asked how we were at 5 already. At mile 7, our parents were waiting with both cold and room temperature water. We took a few moments to say hi and bye....my parents left NOLA after they saw us. My runners emotions hit after we left them. I was so happy both of our parents traveled up to spend time with us in NOLA and to cheer us on and I know how privileged we both are to have such supporting parents. After we left the Garden District, we entered the French Quarter. Amazingly, I was ok - I think I owe it to the many miles we walked prior to this run. I should have mentioned the weather, while it was cooler, the humidity was out of control. It was in the 50's cold and humid. the wind went right through you but when it wasn't windy, it was quite nice. I saw some interesting stuff along my 13.1 miles. A fireman dressed in head to toe fire gear, including an oxygen tank. A man dressed as a chicken while running (feathers!?). People handing out beer, people drinking and running. Beautiful architecture. Delicious smells of 5 star restaurants prepping for a busy Sunday. I truly loved this race. 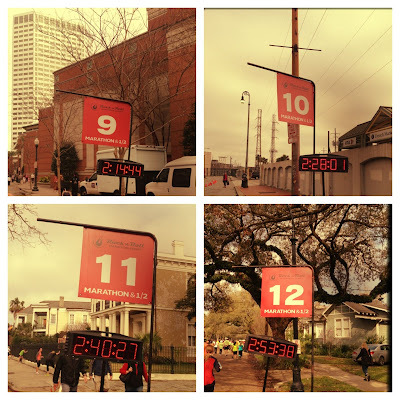 Once we hit mile 13, we realized that there were people crossing the marathon mark the same time we crossed the half marathon mark. Ego blow. It's beyond my mind to think that the 1st place marathoner crossed the finish line at 2:28, 12 minutes faster than it took me to cross at 13.1 (Meyer Friedman, full marathon at 2:28:43). PS Mo Farah finished the half in 01:00:59. I cannot express my love for the Rock n Roll Marathon Series. They are very well organized events with people who care about their runners. They put on great entertainment during the race for spectators and runners plus their post race activities are the best I have seen. NOLA was no exception to this. I loved the brass bands on and off course. Hearing them along with the sights truly put a sparkle in your eye. I am officially obsessed with the Rock n Roll Marathon series. 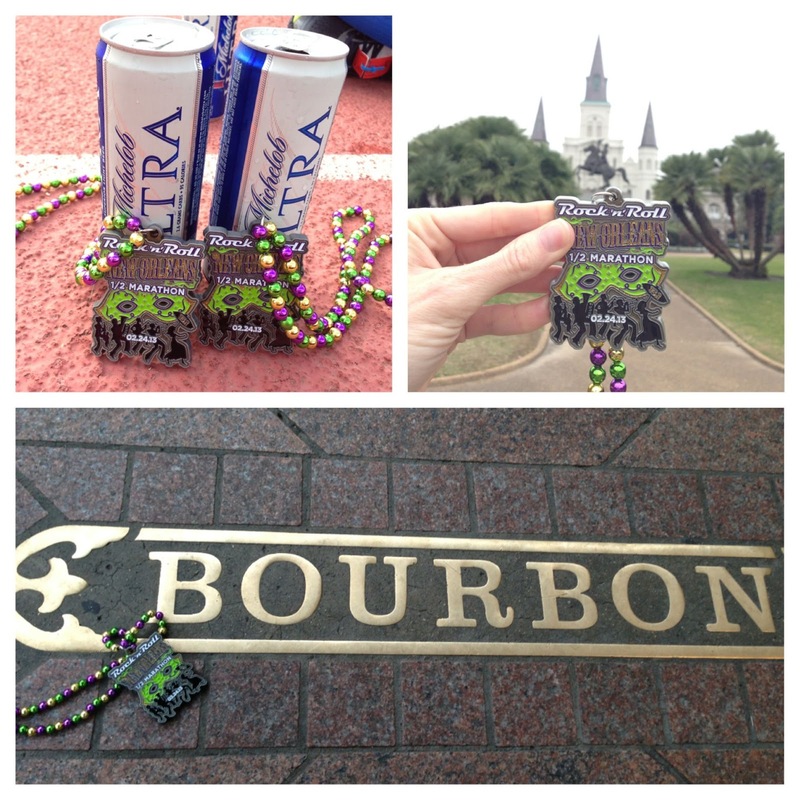 Nola was my second RNR race in a two week period. Ironically, one of my best friends just moved to DC....and I see that Rock n Roll DC Marathon and Half Marathon has less than 1,000 spots left in their race which is only 4 weeks away. hmmm....maybe!? Yay! Congrats on your 4th half! That sounds like such fun. I love the pictures! Thanks for sharing your race report. Hi Debby! Thanks so much. I still look at my medal collection with some shock factor. Long walks are great too. I got my fitbit report that we traveled 54 miles by foot during our trip to NOLA! 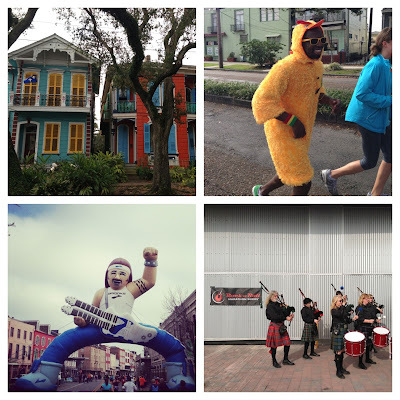 RnR Nola seems like sooo much fun! I'd love to visit some of the other RNR races like Chicago or DC or NOLA! Congrats on your FOURTH hm! I swear that bug is DANGEROUS. I really want to do DC!!! I need another run to keep me going - what is your next one? You did it! (again) Congrats! Looks like a beautiful place to run a Half. Hi Lauren! 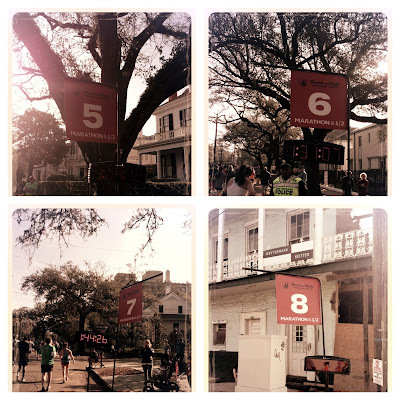 Love your recap on Gasparilla and congrats on your first 5K!